They fortunately don’t seem set to come back to standard game modes. Fortnite’s X-4 Stormwing Planes may soon return to the game, but fortunately just in a Limited Time Mode. Data miners have found evidence of a “PlaneLTM” hidden in the Fortnite v8.30 update files. This doesn’t give us information about when or how this game mode is coming, nor even if it’s really an X-4 Stormwing coming and not some other new plane that has yet to be added to the game. Even so, this leak from a reliable data miner gives us a hint that we’ll soon be able to fly with planes again. This is just another way Epic found to bring back a controversial item to Fortnite. The company did the same with the Infinity Blade, which has recently been readded to the Limited Time Modes rotation after being vaulted for a long time, and it happened several months after it caused chaos in both casual and competitive matches in season seven. Planes were controversial last season because they were so hard to counter. Players would hop onto one, fly high in the sky, and stay on the plane until late game with hardly ever being contested by opponents. Players who were on a plane could jump off into a gunfight and take advantage of weakened opponents to win it. 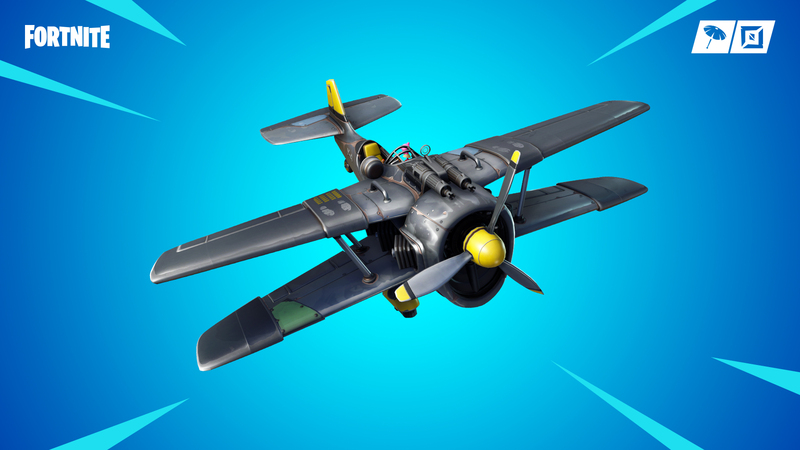 The X-4 Stormwing planes were vaulted as soon as season eight started two months ago. The introduction of the Plane LTM has yet to be confirmed by Epic, which means there’s a chance it might never be added to the game. The leak still gives us hope that we’ll be able to fly again on some X-4 Stormwings soon.